Whether you are determined to finish first or simply are inspired by those who do, MARQ™ Athlete is tuned to separate you from your rivals. 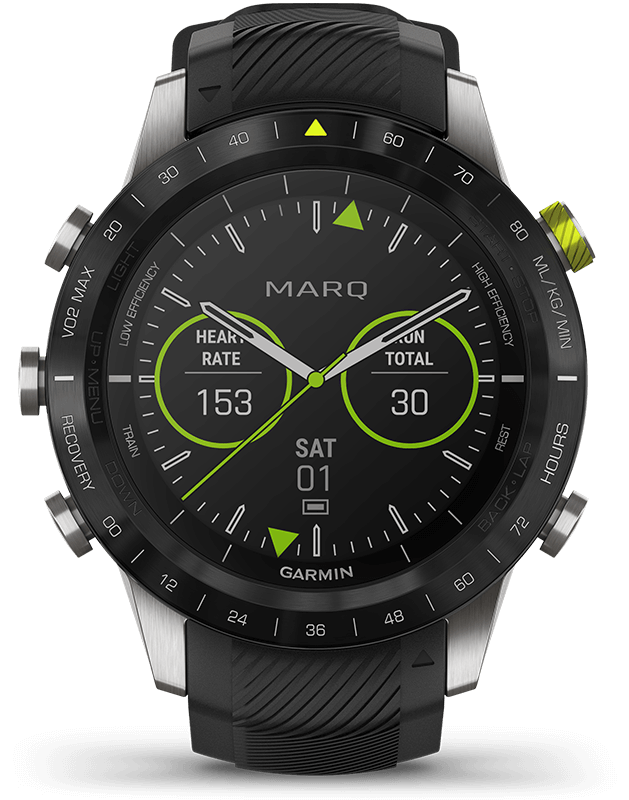 No other luxury modern tool watch with smart features shows recovery time and VO2 max scales on the bezel, delivering a snapshot of your performance and progress. When travel takes you far from home, integrated maps and popularity routing hone in on the best local running and cycling routes. To fine-tune your form, advanced running dynamics1 and biometrics provide the data you need. Score style and comfort in equal measure with an ultralight titanium case and a high-performance strap. For competitors who demand the very best from themselves, there is no greater reward. 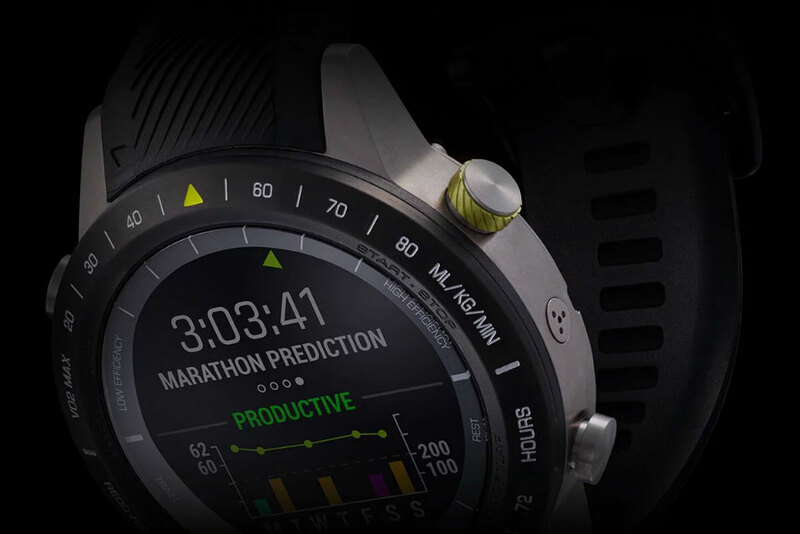 The dynamic watch face of MARQ Athlete celebrates the drive to excel. Weekly mileage totals demonstrate dedication to training, while heart rate reveals superior conditioning — even at rest. The brushed DLC bezel features VO2 max and recovery time markers. This unprecedented display proclaims current fitness and counts down to the next challenging workout, stating unequivocally the champion’s tireless pursuit of victory. Focus on your finishes with performance metrics that monitor your workouts. Race predictor projects how fast you’ll run your next event, while performance metrics indicate whether you’re getting the improvements you expect. Elite-level data calculates the bounce in your step, the length of your stride and your ground contact time. So you can run stronger — and smarter — on every race. 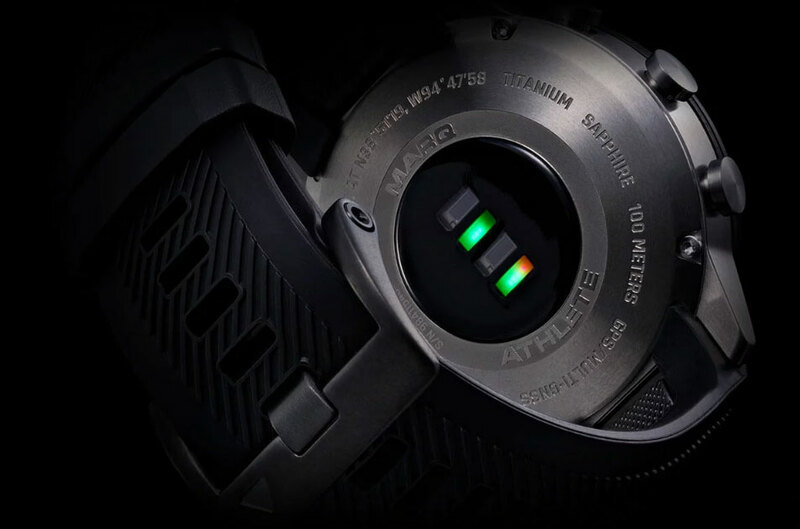 The luminous ultralight titanium case with 46 mm brushed DLC-coated bezel shows your commitment to excellence. 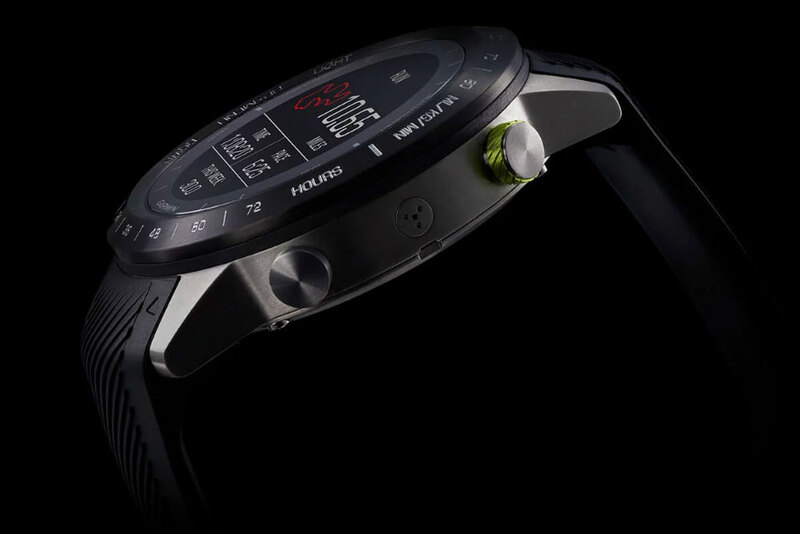 Chosen for its secure fit — and accurate sensor readings — the rubber strap ensures an unwavering focus on performance. So you can cross the finish line in style. And display your winning attitude every day of the week. All-day stress monitoring2. Emails, texts and alerts3. Music storage and streaming services such as Spotify®4. MARQ Athlete is even equipped with Garmin Pay™ contactless payments5 so you can make purchases by simply waving your wrist. It is yet another opportunity to show your passion for sport — while enjoying the modern conveniences of the latest connected features. The MARQ Collection is destined for those who aspire to the lifestyles we have redefined over decades of innovation. For them, we present these magnificent modern tool watches — our tribute to their rightful rewards.